Conducting an incident and accident analysis after the event is relatively easy. Incident and accident prevention, or risk management, is much harder to do because we don’t know which of the thousands of possibilities are the relevant ones. This is especially true with diving. As such, we have to be conscious of our own limitations (skills and experience) and the pressures we will face. Not just time pressures, but also the social pressures we are under. 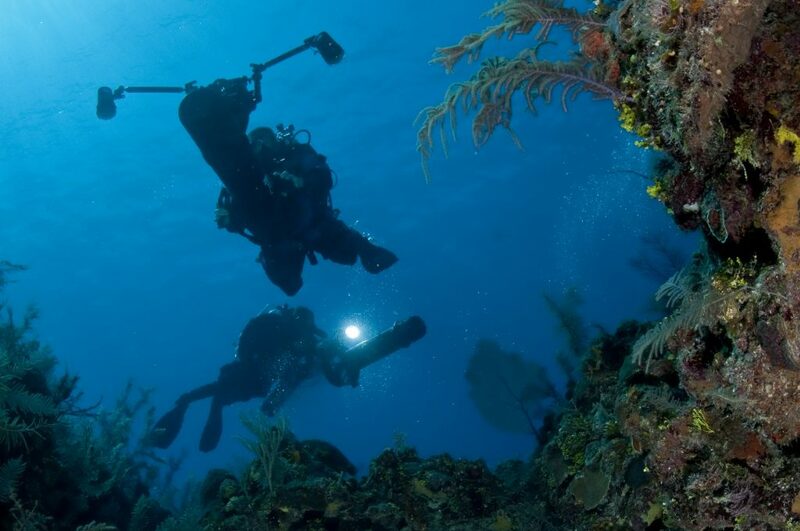 If someone invites you on a dive that looks exciting, a dive with other divers whom you respect and admire, and they have invited you along because of a certain skill set you have, such as surveying, photography or videography, it can be very hard to execute the right (which every diver has) to thumb the dive at any time for any reason. 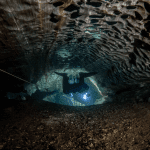 This is often even harder when we start to look at previous dives that turned out alright, because success is a lousy teacher—especially if you get it right the first time. “In 2015 I was asked to join a project as a documentation diver that would collect photos and video on a dive. 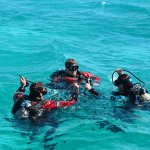 We were a relatively large team of eight divers sectioned into four two-diver teams. My teammate on the dive was also the dive equipment manager for the project. At this point, I was still new to diving doubles and did not yet have a doubles wing of my own. Instead, I used one of the wings provided to me, not knowing that it had previously been scheduled to be serviced before this project began. 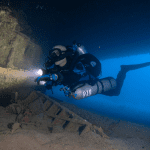 As we discussed the dive plan to a depth of 100 ft/30 m in a heavy current, it became clear to me that I would have to dive beyond my limits to make this mission a success due to the increased video and lighting equipment, and the scooter they were mounted on. Immediately I realized that I had a choice to make: scrub the mission or push forward and accept the risk associated with adding extra gear to a working dive. To me, adding the equipment wouldn’t be too difficult to manage, but I also did not think far enough ahead to unforeseen issues. We ran through our pre-dive checklist, the GUE EDGE, on the surface. Everything was good to go. We entered the water as a team and descended fairly quickly to avoid the current throwing us off our bearings on our way to the dive site. To maximize the bottom time, I was diving double AL80s, with an AL80 stage bottle to breathe enroute to the target area. To maximize time in the area, I was using an exploration-sized scooter/DPV that had a DSLR camera, video lights, and housing mounted to the nose. I felt a bit overloaded and my heart was racing, but after we hit the water and submerged, I began to calm down. We scootered downward and forward, which was relaxing and exhilarating at the same time. This would be only my second scooter dive, my first with a camera mounted on it, and my first time managing a stage and switching regulators at depth. I felt confident in the scooter though, as my first ride went well and in this case it was helping to transport me and stabilize the camera. With the camera adding extra weight, the scooter was negative. This wasn’t really the issue I thought it would be. My confidence in using a stage was based on having filmed the required skills previously, with an instructor, and having watched it many times during editing process. We stopped during the dive to check our bearings in about 80 ft/24 m of water. Being new to scooter diving, I thought it prudent to power it off while we were waiting to save battery life. At this point the scooter began sinking, so I decided to add a squirt of air into my wing to maintain neutral buoyancy. Shortly thereafter, the power inflator became stuck on as a result of corrosion built up after being in a salty environment for a year without proper maintenance. My wing began to fill up and the inflator button was not responsive. Since this was my first experience of this, I did not immediately remember my training. However, muscle memory kicked in, and I first quickly signalled my teammate with a rapid light signal. He was looking right at me, so I figured he would be on his way over to help me, but he didn’t. I consequently began to manage the issue myself and reached back to dump the excess gas in the wing with my free left hand. As I traced my hand back to find the dump valve to relieve excess gas from my wing, I found instead a stage bottle, which my mind said should not be there. I was able to get my hand around it and find the dongle to dump my full wing, but it continued to inflate. I tried to trigger the scooter to hold me at depth but I had turned it off. The thought process developed during training finally kicked in, and I unplugged the inflator hose. Luckily, the over-weighted DPV helped to hold me at depth long enough for me to manage this issue, and my buoyancy didn’t vary too much. The rest of the dive was uneventful once I was stabilized in the water and had resolved the issue with the inflator hose. My teammate never saw me signal, nor did he ever notice I was having trouble, highlighting the importance to both of us of situational awareness. A quick tap of the inflator button to check for proper function during a pre-dive check is not adequate. Overloading oneself with new gear, while easy enough to manage with good skills and the right mindset, can quickly become a serious inhibiting factor in an unexpected situation or when an emergency is encountered. Poorly maintained gear, due to either an act of laziness, forgetfulness, or of being too burdened with other tasks to get the job completed, can cause problems! The dive plan that revolved around me as the camera operator had requirements beyond my training or experience level. I made a repeated series of misguided actions, like turning off the scooter or forgetting I had to get my hand around a stage, instead of immediately just disconnecting my power inflator hose. I had never had to do that before, but during the dive I remembered I saw my fundamentals instructor posing the question to us during class four years prior. Comments: The subject diver picked up many of the issues they personally faced. These included overconfidence, inadequate technical skills, assumptions, hubris, decision-making, and some of the factors associated with their teammate (I’ll comment on this in a moment). But there are also factors which were missed covering the wider project. Specifically, the team had an expectation that someone with limited experience would be able to pick up a complex task and manage it, even if something went wrong. Executing this dive when everything was 100% perfect wouldn’t appear to have been an issue, but how often do we consider the “what ifs”—you can’t rely on everything being 100% perfect 100% of the time. As project leaders, how often do we consider the pressures to conform socially, which makes it harder for inexperienced but massively keen divers to say “this isn’t right” and thumb the dive or at least raise some concerns? The greater the social kudos associated with the project, the harder it is to say no. The comment about the situational awareness of the teammate is also worthy of note because situational awareness is based on building up knowledge using your senses. Just because something is in a teammate’s field of view it doesn’t mean that they have seen it. 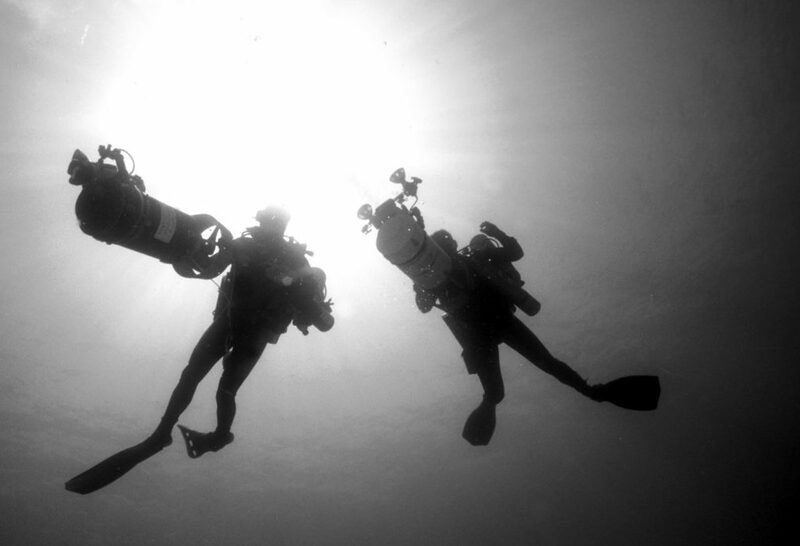 The diver that had the problem had the responsibility to ensure that the communication loop with their teammate had been closed by signalling until the teammate responded, indicating that they were cognisant that the diver had an immediate problem. Innovation and exploration cannot happen if you don’t push the limits. By definition, you are stepping outside the experience zone. This also means that the margins for error are greatly reduced and therefore there is a need to get everything as close to 100% perfect as possible. This requirement to “fail safely” means identifying interactions within the system that might cause you and your team problems, e.g., heavyweight scooter, additional stage, lack of practice, and what you can do to mitigate those risks from materializing. The opportunity to learn directly from adverse events can be hard because diving is pretty safe (in terms of numbers). For that to happen, there needs to be a “just culture”. A just culture isn’t a blame-free culture, but one which recognizes that we are all human, that we all make mistakes, and that grossly negligent behaviors will not be tolerated. With a just culture in place, we can learn from others by having context-rich stories like the one above, which look at not only the technical aspects (scooter weighting, OPV, servicing of the inflator) but also the human elements (skills practice, social pressures, inexperience, assumptions, hubris) so that we are better prepared to deal with the uncertainties and fastballs that come our way. Learn from your mistakes; better still, learn from someone else’s. To learn more about “just culture” and what it can do for your team, follow the link to this free Human Diver webinar. Read Gareth’s post Mental Models to learn more about how our subconscious actions effect our safety. Gareth Lock is an OC and CCR technical diver with the personal goal of improving divingsafety and diver performance by enhancing the knowledge, skills, and attitudes towards human factors in diving. 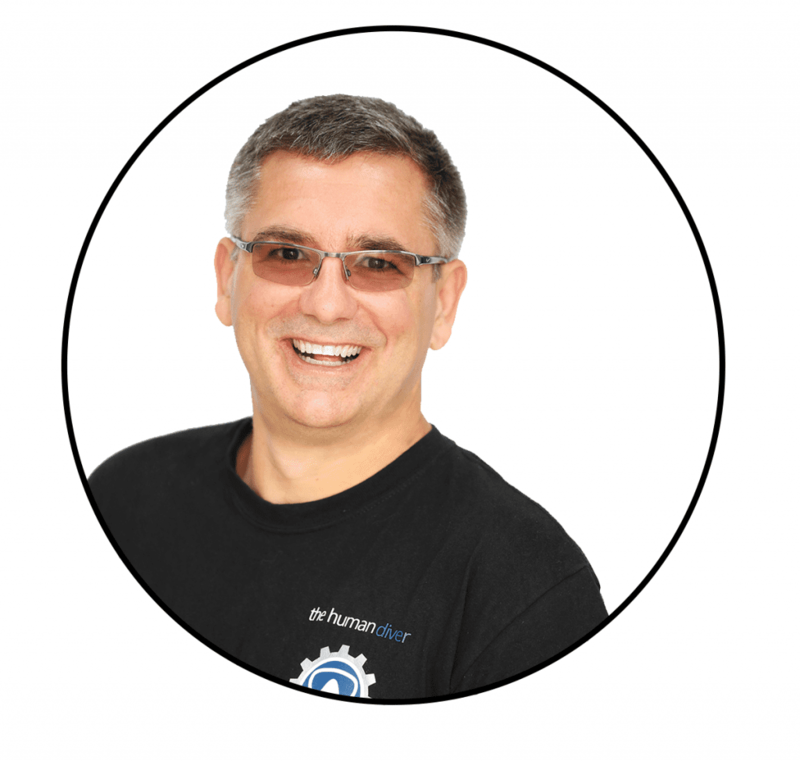 Although based in the UK, he runs training and development courses across the globe as well as via his online portal https://www.thehumandiver.com.He is the Director of Risk Management for GUE and has been involved with the organization since 2006 when he completed his Fundamentals class.